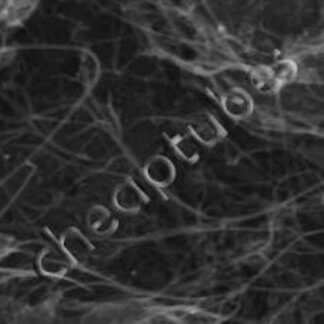 Our Single Walled Carbon Nanotubes 95 are a great material for transparent and non transparent conductive films, sensors, conductive inks, and many other applications. Try some today! 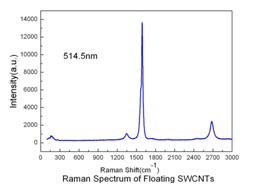 Our Single Walled Carbon Nanotubes 95 are made by the floating catalyst CCVD method and acid purified. They are 95% pure SW/DWNTs content and are more conductive than our SW/DWNTs 90%. 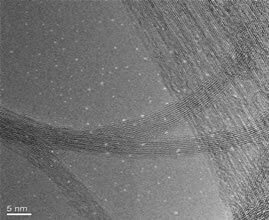 Our Single Walled-Double Walled Carbon Nanotubes 95% have unique properties of stiffness and strength largely due to their high aspect ratio and all carbon structure. 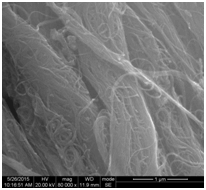 The thermal and electrical conductivity found in SWCNTs is much higher than that of other conductive or fibrous additive materials. Surfactants are used to stabilize dispersions in DI Water or other aqueous solvent mixtures. The most common surfactants used are PVP, SDS, or SDBS. Our patented Flexiphene can disperse them very well.